Keeping your pet safe and well-behaved during your outings is one of the most important things in your day. In order to do that you must rely on various equipment like leashes, collars and our topic for today – harnesses. These are some of the most important parts of your gear and you must take care that you get the best for your dog. There are noticeable differences between collars and harnesses so you must decide which one would be best for your pup depending on their behaviour and build. While a collar is worn around the neck the harness is fitted around your dog’s torso. That means that, if pulled or too tightly buckled, collars can potentially damage their neck, trachea and even the thyroid gland while a harness distributes the force of the pull evenly on their body causing minimal discomfort and a greatly reduced risk of injury. This is one of the reasons why dogs that already have some breathing problems due to a damaged trachea should absolutely wear a harness instead of a collar which might worsen their problem even further. Such placement also gives your dog a significantly smaller chance of slipping out of a harness as opposed to a collar. Most harnesses are made from lightweight, waterproof, durable synthetic materials like nylon. Leather harnesses are stronger and a bit more expensive but, if maintained right, could last you a lifetime. They are best used for larger and stronger breeds, while nylon harnesses will in most cases be more comfortable and strong enough for smaller dogs. 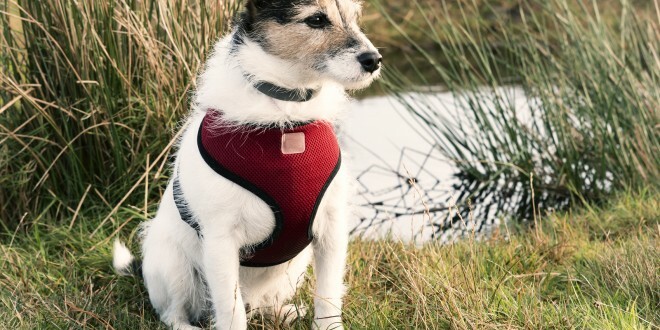 In any case, you’re looking for a harness that has good padding – it could make all the difference between a pleasurable and discomforting experience, especially with dogs that have short hair like many of our dear Jack Russell Terriers. Think of a harness like a piece of clothing for your furry sweetie. You both want for it to fit comfortably and effortlessly – it isn’t simply a matter of aesthetics as it is for safety. Right size harness will be pleasant and unobtrusive for your dog to wear – too small and it’s too restrictive and suffocating; too big and they might wiggle out of it. In order to fit it on properly, you must take good measurements of your pet – their height, length and most importantly girth. Measure the circumference of their chest just behind the front legs, their length from neck to tail, their general height and the distance between the breastbone (sternum) and the shoulder blades. It’s best to do it with a cloth ruler (tailor ruler) or if you don’t have any handy, a piece of string which you can then spread and measure the length of on a normal ruler. Take measurements before and after a meal so that you don’t end up getting a harness that’s too tight for comfort with a full belly. The general rule is that the harness should be about an inch wider than you dog. That’s more than enough wiggle room to prevent suffocation, chafing and constricted motion. When trying out a new harness regularly check if it’s rubbing anywhere where it might cause discomfort or impede movement. The more adjustment points there are on a harness the better. Where does the leash go? Placement of the leash on a harness makes all the difference for its purpose and usability. A front clip harness like the excellent PetSafe Easy Walk Harness will help you better control your dog. 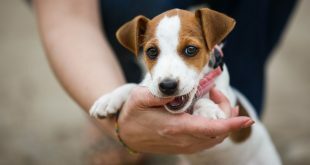 By anchoring the leash at the centre of his/hers chest (below the neck and in front of their front legs) when you pull the leash they will naturally be forced to turn towards you. Thus you won’t have to exert a lot of force to stop their forward momentum and direct attention at you instead of whatever excited them in the first place. It’s an excellent tool to use during leash training although beware that the leash doesn’t become entangled in their front legs. Back clip harnesses are excellent for dogs that have mastered leash walking, but not good for those that haven’t. A back clip harness provides your pet with a lot of comfort and freedom but the placement of the clip offers little control in case of pulling and lunging. This is especially true for large breeds that could easily overpower you with their bulk. Back clip harnesses (like the awesome Puppia) are best suited for smaller breeds though since they don’t strain their fragile neck area are easy to put on and comfortable. If you are thinking of getting a back clip harness my personal first choice would absolutely be Ruffwear’s Front Range All-Day Adventure Harness for Dogs. We have it for quite some time now (3 years to be exact) and it’s practically indestructible. Kala wears it literally every day and, due to her short stature, there have been a lot of situations where it got wet and dirty from her frolicking in wet grass and jumping in puddles, and still it’s form and strength are the same as the day I bought it. It’s truly superbly made. If I had to buy another harness (and it seems that such a day won’t dawn for a long, long time) I’d get another one in an instant. The only thing I’d change is the colour – we have an orange one and it shows off every stain which can be a bit of a bother because it’s only washable by hand. I strongly advise you not to use any sort of tightening harnesses. 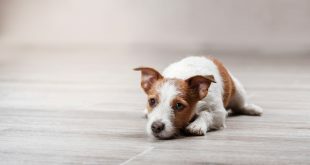 They work by applying pressure, discomfort and sometimes even pain by tightening around the dog’s belly, legs or shoulders thus discouraging them from pulling on the leash. You know that we’re all about positive reinforcement methods and this definitely isn’t one of them. Harnesses aren’t designed to be universal tools for all situations. Different styles and designs are meant to do different things. There are various types of different sports, there are those that are designed for dogs that help in rehabilitation or everyday activities of people with special needs, and yet more for various other kinds of work like search and rescue. There are even harnesses designed to support wounded dogs, or help you carry your ailing pet (e.g. those suffering from hip dysplasia). If you took your pet along for a car ride but decided not to use a crate it’s best to tether him/her with a Kurgo Tru-Fit seat belt harness. It’s crash tested, comfortable and the included seat belt loop is compatible with all seat belt systems ensuring safety for the both of you. It’s also a multitasker – safety harness in the car, standard harness out of it. We’re avid hikers so we invested in some necessary gear. There can be some parts of the trail that are impossible for our beloved four-legged companion. That’s where harnesses like the Active/Dazzle and Pet Collection Padded Harness from Hurtta; and Ruffwear – Web Master come in. They’re specially made for easy and comfortable lifting and transporting your dog over the rough and rugged terrain. They also allow you easy handling in emergency situations and have reflective surfaces for improved visibility in the dark. Consider replacing the collar with a harness, especially if your pet is in bad health. 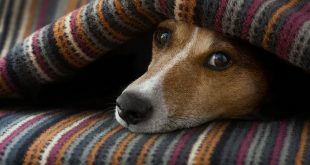 Both you and your pet will be grateful for the safety and comfort that they provide. Just make sure that it fits on properly and that it’s suited for the task at hand – be it a leash training exercise or a hike on a mountain trail I’m sure that the both of you’ll be delighted for all the perks that come with. We’d like to hear your thoughts, recommendations and experiences concerning harnesses in the comments below.